The width changing table Smilla is more than just a good-looking storage place for clothes. 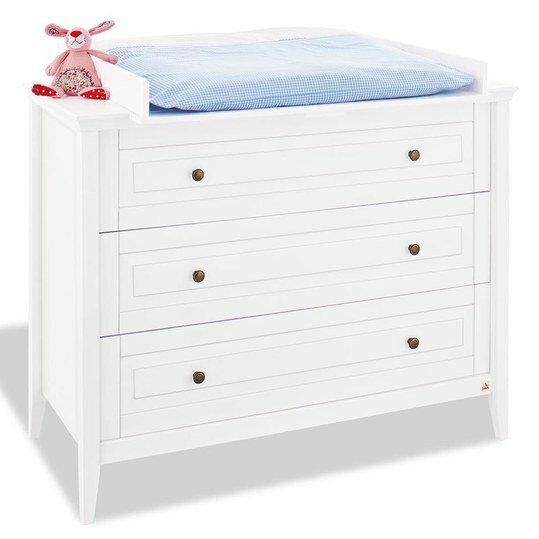 Thanks to the practical changing attachment you can change your baby on the chest of drawers safely and at a comfortable height. The top drawer is equipped with three drawers. So you always have an overview. The drawers close gently and quietly thanks to the self-soft-close system and are pulled out at the round metal buttons. The changing attachment can be easily removed. After the diaper time you can use the chest of drawers as a large sideboard. 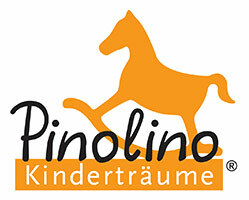 The manufacturer Pinolino gives a 10-year guarantee on these articles. The möbel are delivered without textiles and decoration.